Stacey Gail flying the colors of the competitors while wearing the outfit her mother wore to joust. 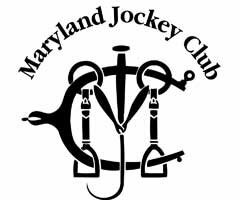 This past October, six Maryland Jousting Tournament Association members were invited by the Scottish Tilting Riding Club to be ambassadors for the Maryland State Sport of ring jousting. 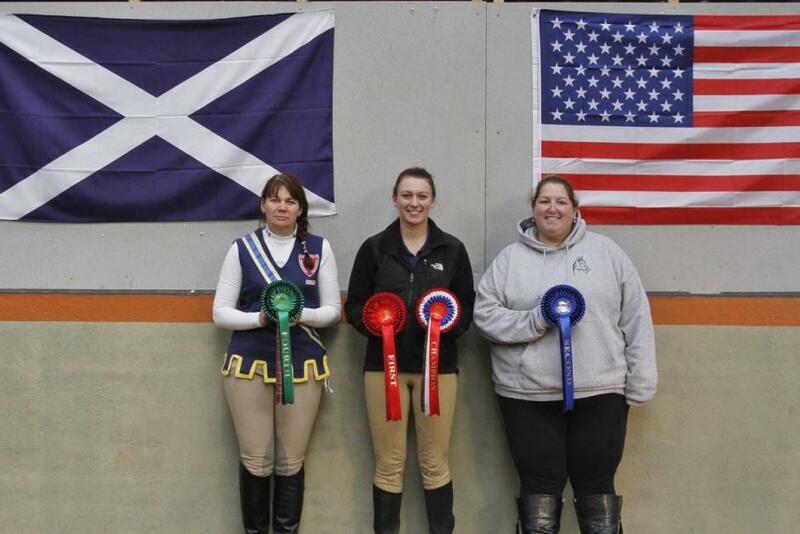 Three of the members, Mikayla Miller (St. Leonard), Shannon Allen (Westminster) and Stacey Gail (Fallston), participated in the 1st Garleton Lodge International Tilting Tournament at the Rockrose Equestrian Sports Centre in East Lothian, Scotland. While in Scotland, they competed in the “tilting” competition in order to learn more about the European version of the sport of ring jousting. Mikayla Miller and Stacey Gail competed in the Open Division, which requires riding at a canter. Miller placed first with 18 out of 24 rings (25mm in size). 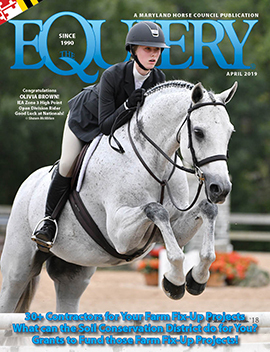 She then competed for the overall championship against the winner of the Novice Division, in which riders participate at a trot, and succeeded in capturing a 22mm ring for the overall win. She was presented with the tournament’s Garleton Lodge Trophy. Gail placed fourth in the Open Division. Shannon Allen placed second in the Novice Division. The members were also featured in segment on Scotland’s ITV news. The US competitors discovered that tilting in Scotland involves 1 arch, or gallows, instead of 3 arches. Also, the height of the ring is customized for the individual rider. 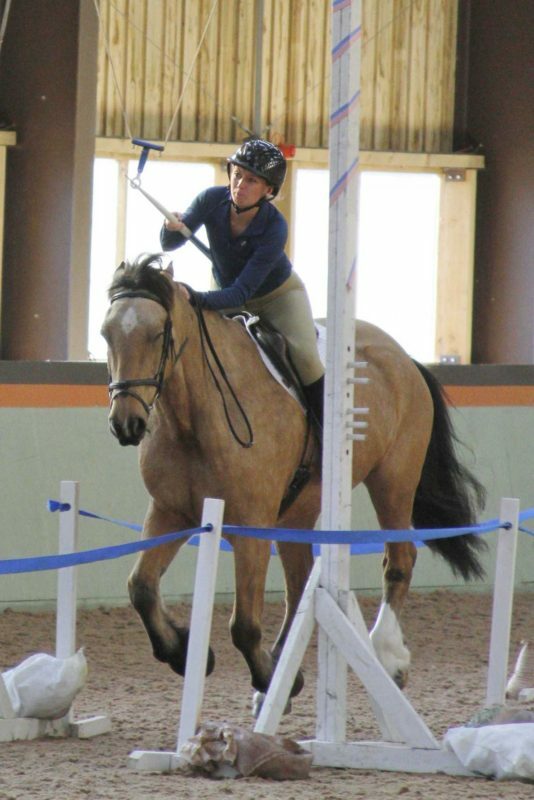 Here in Maryland, the ring hangs at a standard 6’9” from the ground for all riders. 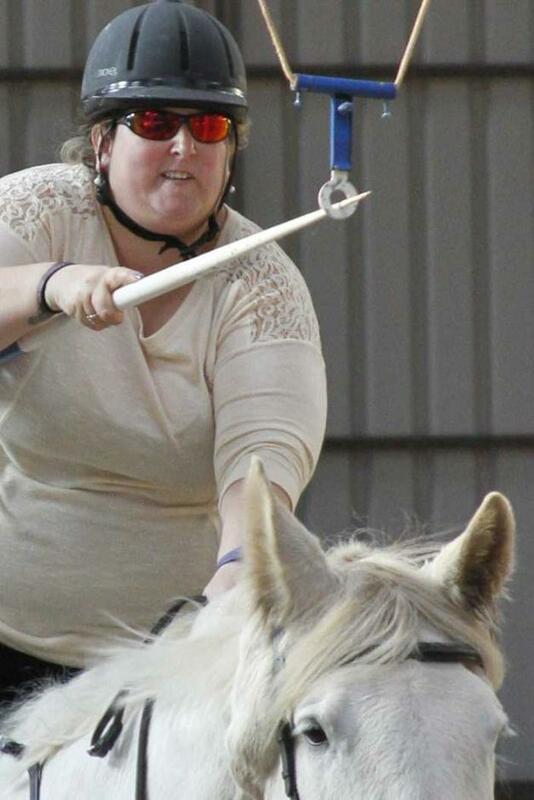 A perfect score in US jousting is 9 rings. 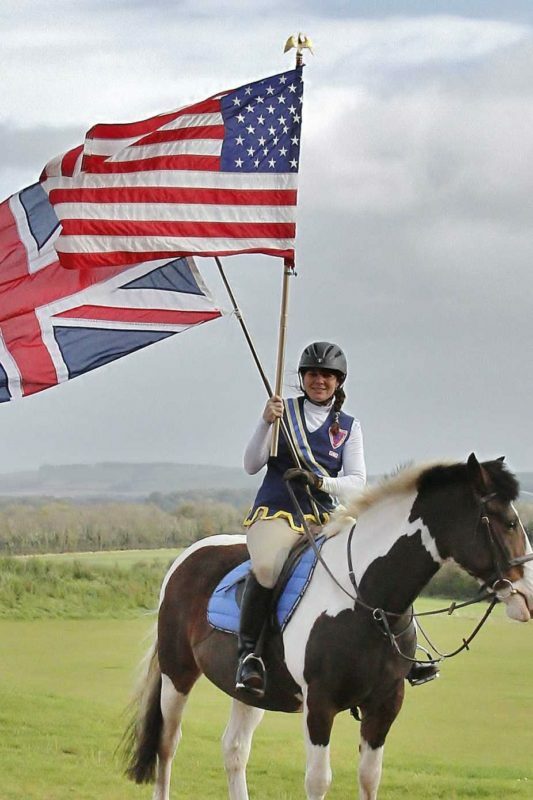 In Scotland, each rider makes 24 attempts at a single ring. Timing is also an important component here in the US. Timed classes must complete the 80 yard track in 9 seconds or less at MJTA sponsored events. There is no time requirement in tilting. Shannon Allen of Westminster placed second in the Novice division. Mikayla Miller won the tournament’s Garleton Lodge Trophy for overall champion.